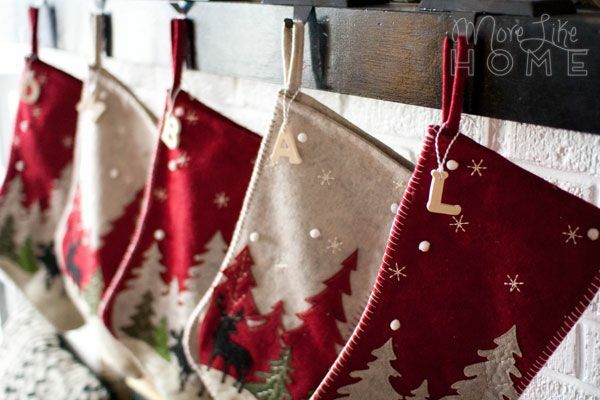 Christmas decorating is in full swing at the big blue house, and today I wanted to share one of my favorite projects for adding a cute and personal touch to any stockings. And the best part? It's sooo easy and super cheap! 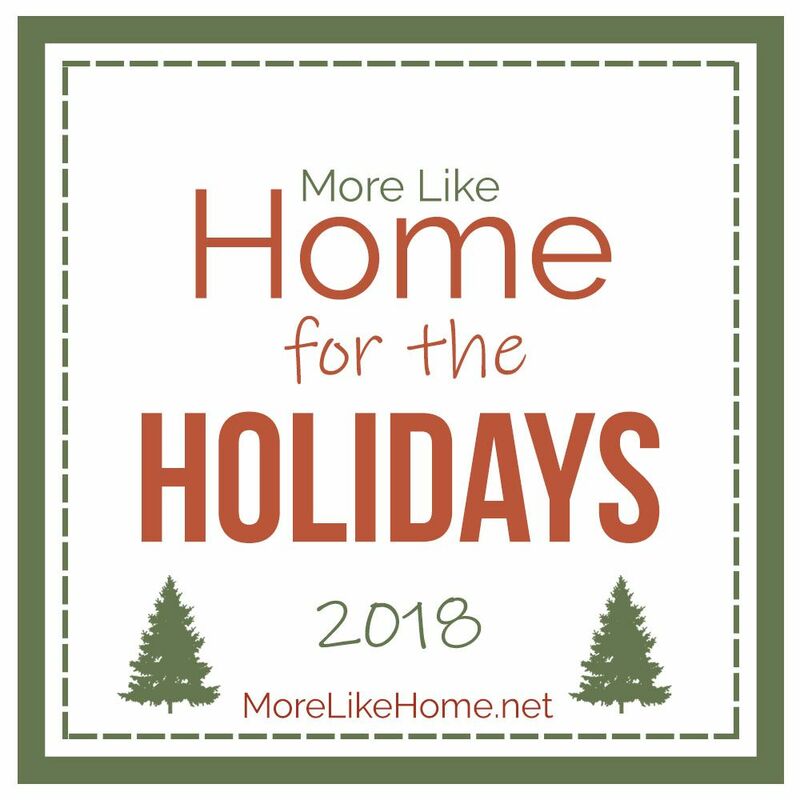 I love DIY Christmas decor, and a project that's just as useful as it is beautiful? Well that just takes the Christmas cake! 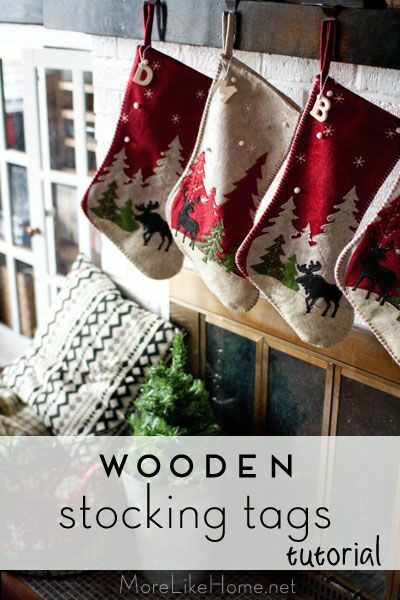 These little wooden stocking tags are a perfect way to differentiate matching stockings, add a personal touch without springing for embroidery, or just add a cute wooden accent to your Christmas decor. 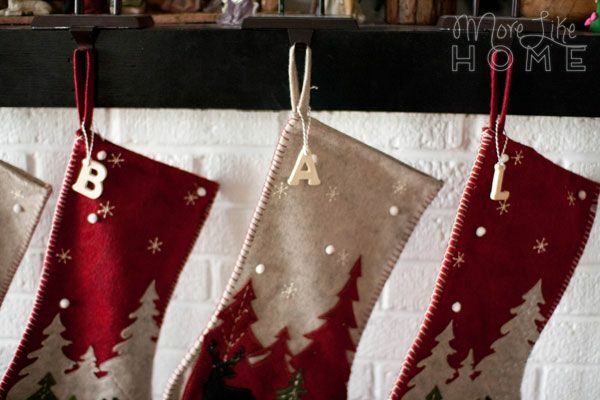 Ever since we bought these off-the-shelf stockings a few years ago, I've been craving a personal touch. A way for all the little fellas to know which one is theirs and run right to it Christmas morning. Something to make them unique and ours. 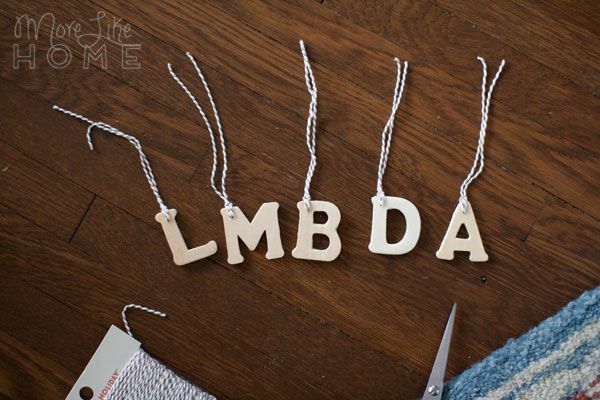 And these simple little tags have been the perfect touch! 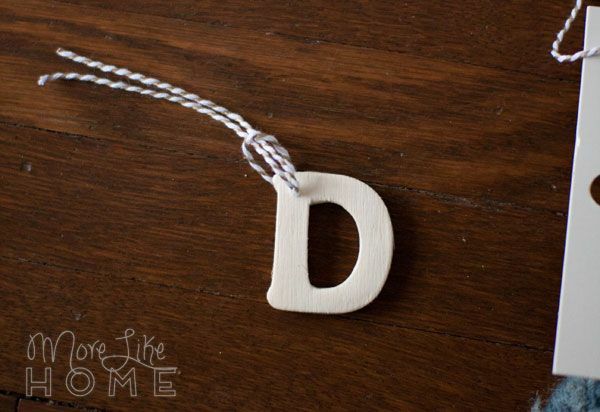 Start by drilling a small hole in each letter. 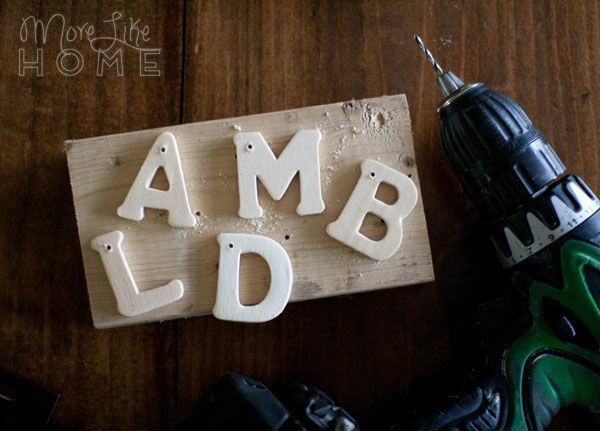 Make sure you use a block of scrap wood under the letters so you don't drill into your work surface! Can you tell I made these last year before we added a "P" to the family? That's another beautiful thing about this project - I just ran back to Michael's this year and grabbed the new letter! 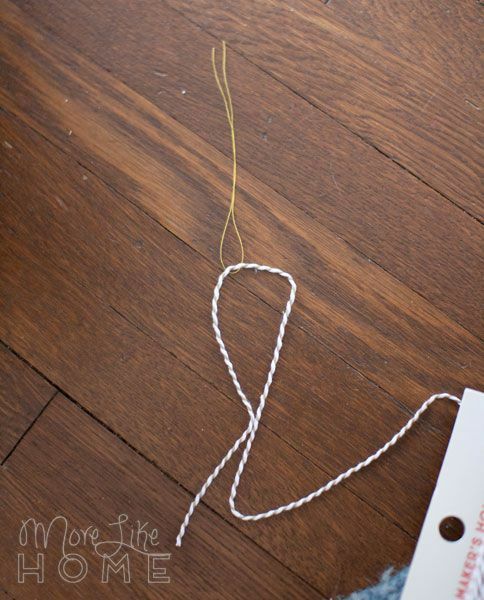 Cut pieces of baker's twine about 6" long (you can adjust it depending on how low you want your letters to hang). I used a pretty white and gold twin I found at Target's dollar spot a couple years ago. It's been sitting in my gift wrapping box just waiting for its time to shine. Today is that day. 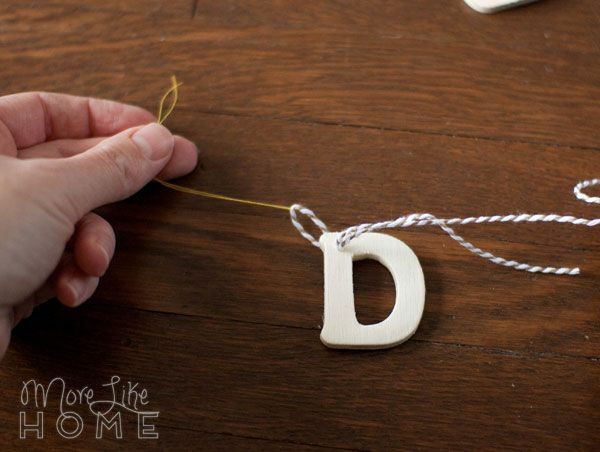 Put both ends of the thread through the hole you drilled in one of the letters, then pull the thread through. This will pull the twine through behind it. The threads fit through easily since they are so thin, and this is much easier than trying to thread the thicker twine through on its own. 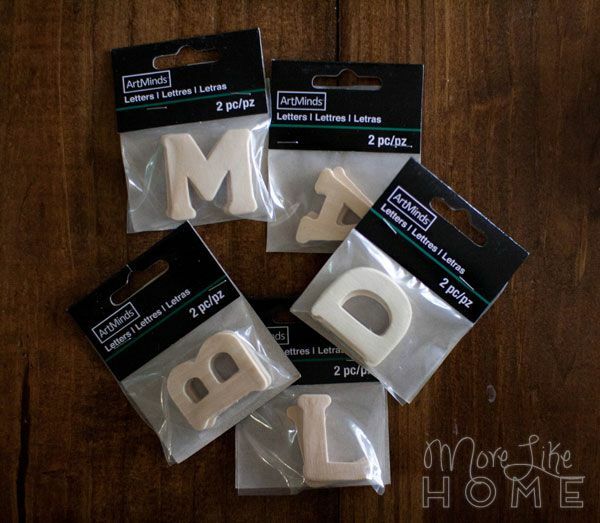 Pull the ends tight, and repeat with the rest of your letters. 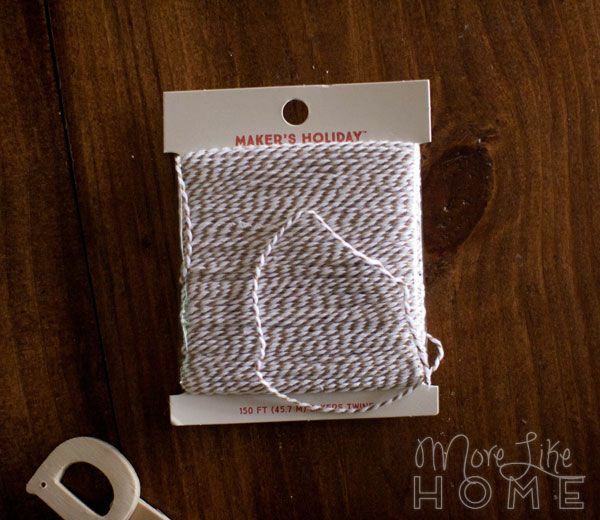 Tie the ends of the twin around the loops on your stockings. That's it! It took maybe half an hour to do the whole set of stockings. What if wood accents aren't your thing? No sweat, you can totally change the look to fit your Christmas style! You can paint the tags with acrylic paint, coat them with glitter, even use mod podge to cover them with book pages or photos. Put those tags to work! 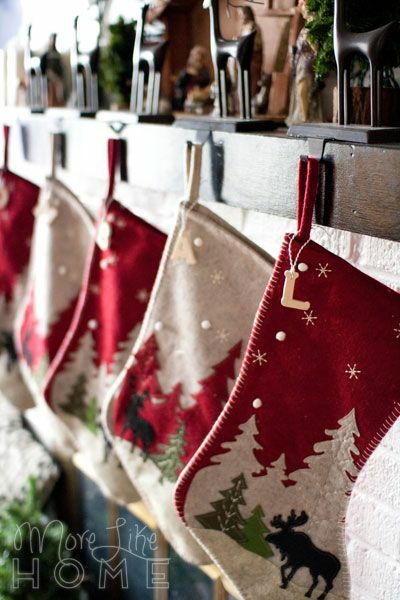 Now before we wrap up I have a stocking confession: when I bought these stockings I did it because they were cheap. The end. We needed stockings and these were the stockings we could afford. We've probably all been in a place where we just do the best we can and it's good enough for what it is. That's where I was at when I bought these a couple years ago. There is zero shame in that game, peeps. And these flannel moose stockings have done the job admirably. But I'm so excited to say that this year I upgraded to new, beautiful stockings that I love. And I never thought I'd be able to say this, but the stockings I love... were only $5 each. I know. And I'll tell you guys all about it in my next post. 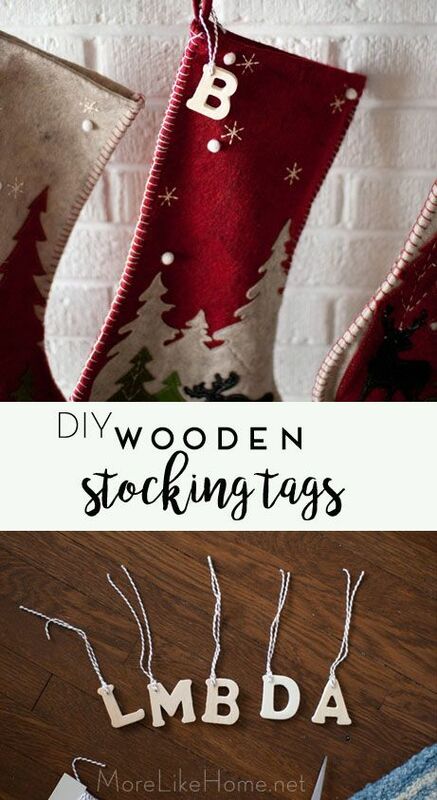 But for now just know that these little wooden stocking tags moved seamlessly over to the new stockings and they are looking more spectacular than ever. 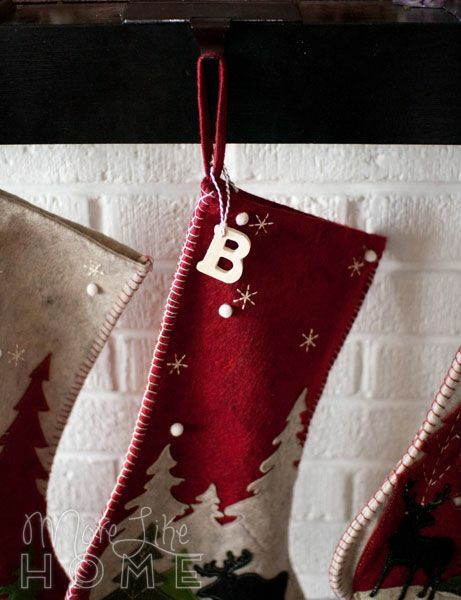 Seriously, these tags can work with any stocking! I'd love to hear what kind of Christmas DIY you're working on this year! A decor project? Handmade gifts? Christmas treats? Let me know!